While the Democrats want to make a huge issue out of Russia hacking their files and releasing evidence that they were truly corrupt and how Clinton was just a liar blaming Russia rather than themselves, interference in the elections of other countries is par for the course. I have reported how Obama has interfered in Canada, Britain, and France. This is standard operational procedure. Now Turkish President Tayyip Erdogan publicly told all Turks living in Germany to vote against Chancellor Angela Merkel’s Christian Democrats on September 24th. For Erdogan to publicly try to influence the German elections as Obama did in Britain tell them to get to the ‘back of queue‘ if they voted for BREXIT, demonstrates the lack of unity between the NATO allies and major trade partners. 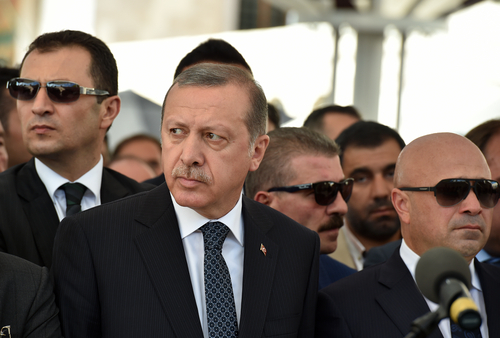 The tensions between Germany and Turkey are on a crash course between 2018 and 2020.